I have spent almost a decade as an international wedding planner and creative stylist, servicing style-conscious couples throughout Europe and at some of the most popular wedding venues in the UK. With careful attention to detail, I translate each couple’s wedding vision into an elegant and memorable occasion that reflects their unique personalities and relationship. My wedding planning services combine luxury design aesthetics with flawless event organisation. 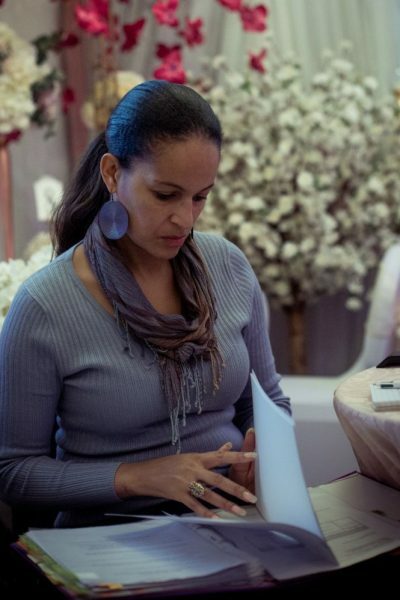 My background in credit management enables me to understand the importance of wedding budgeting where I assist to keep you on track every step of the way – whether your budget is large or small I create packages that ensure blissful wedding celebrations without the financial hangover. Since 2009, I have planned and executed small and large weddings of all styles in locations from English Countryside wedding venues, to stylish London city wedding venues as well as rustic or exotic venues throughout the UK and Europe. Each celebration, no matter the space or budget has been effortlessly stylish and authentically personal for my clients. I understand how, in the era of social media, it has become easier than ever to cherry pick your wedding design and details, but I have also seen how, without the right guidance, this approach can often lead to increased costs and stress for the bridal couple. Supported by a network of some of the UK’s best wedding suppliers and a team of hand-picked and vetted staff, I ensure my clients’ peace of mind by overseeing their plans and taking over the elements that make them most stressed. I approach each and every wedding with the same warmth, passion and creativity, from LGBTQ ceremonies, to traditional vows and eco weddings. Our range of bespoke wedding packages allow couples to be as involved as they want to be, while enjoying the support that comes with a professional wedding planner. When I am not busy planning bespoke weddings for my clients, I enjoy cooking and have a talent for dressmaking with a passion for all things old Hollywood glamour. I’m influenced by the elegance of the 20’s – 40’s eras including the Great Gatsby, Swing bands and the vintage glamour of Audrey Hepburn, Rita Haywood and Eartha Kitt. I have been married to the love of my life for almost four years now and have a beautiful daughter of 28 who is looking forward to her mother organising her big day when the time comes.